When you live in Tanzania, the Bakhresa Group and its products and services are everywhere you look. On any given day, you might eat Azam ice cream, use Azam flour, or watch Azam TV. You might travel on an Azam ferry to Zanzibar, or hear a news tidbit about the Azam Football Club. You might stop at an Azam bakery or drink an Azam juice, milk, soda or Uhai bottled water. The Bakheresa Group’s products and services in Tanzania are everywhere! And yet, there’s one sector where the Group has had no presence until now: hotels. In mid-2017, the Bakheresa Group will launch Hotel Verde Zanzibar. Built in conjunction with South Africa’s Verde Hotels, Hotel Verde Zanzibar will not only be Zanzibar’s but also East Africa’s greenest hotel. The Tanzanian based Bakhresa Group has appointed Verde Hotels from South Africa to develop and manage the total overhaul and upgrading of the old Mtoni Marine Hotel in Zanzibar. Located a short 10-minute walk from Stone Town, the brand new five-star property will be Zanzibar’s greenest hotel. “We are serious about being the leaders of the green economy sector and therefore we approached the developers of Africa’s greenest hotel, Verde Hotels to ensure that Hotel Verde Zanzibar will be the greenest hotel in East Africa” said Mr. Said Salim Awadh Bakhresa, Chairman of the Bakhresa Group. One of Tanzania’s leading industrial houses, the Bakheresa Group operates not only in Tanzania but also in Uganda, Kenya, Rwanda, Burundi, Malawi, Mozambique and South Africa. Hotel Verde Zanzibar will take sustainable development to new heights in the region. Mr. Bahkresa has appointed the Verde Hotels Group to not only redesign the hotel but to also operate it as a certified sustainable establishment that offers a carbon neutral hotel experience. Verde Hotels will work with Estim Construction who have a strong reputation for project excellence. The new hotel will pursue independent green certification. This will be through the Green Star rating tool of the Green Building Council of South Africa (GBCSA). What Will Make Hotel Verde Zanzibar So Outstandingly Green? Verde Hotels intends to weave sustainability into every part of the construction process. Sustainability will also play a key role in the hotel’s daily operations. 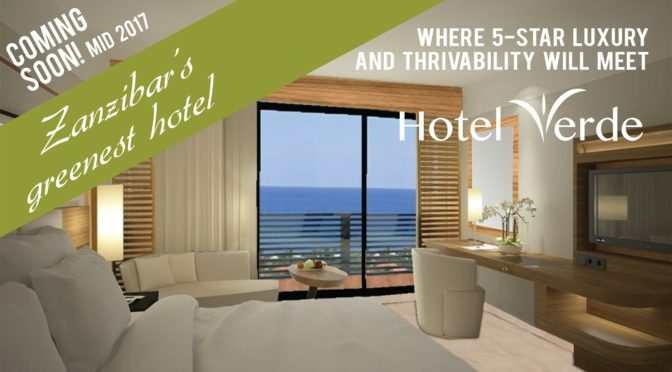 Sustainability strategies that will be used in the hotel’s renovation will include passive and active design that optimizes resource efficiency. Examples include renewable energy generation, regenerative drive elevators, a grey water recycling system, responsible procurement, waste minimization and management, and indoor environmental quality optimization. Hotel Verde Zanzibar will combine 5-star luxury with environmental best practices. The hotel will feature 142 rooms, luxury suites, a spa, a gym, restaurants, entertainment and a marina. The contemporary design, which will include local Tanzanian elements, will be an attraction for guests—both international and from Tanzania. Verde Hotels is a sustainable hotel operator famous for its Hotel Verde in Cape Town, South Africa. Hotel Verde Cape Town is Africa’s greenest hotel and the first hotel in the world to be certified with a Platinum LEED green building certification for both design & construction and operations & maintenance. In May 2014, Hotel Verde Cape Town became the first hotel in Africa to offer a carbon neutral accommodation and conference experience, at no extra cost to the guest. Hotel Verde Cape Town has won a number of local and international awards for its sustainable initiatives, including the Internorga Company Trendsetter award in Hamburg and the award for World’s Best City Hotel for Responsible Tourism at World Travel Market London by a worldwide team of wine experts. As a hotel management group, Verde Hotels specializes in a turnkey management approach. This includes the construction phase of new hotels and the renovation phase of existing buildings that are then operated and managed by Verde Hotels, with sustainability at their core. The aim is to transcend conventional hotel and business standards while entering into a new era of environmental consciousness and responsible tourism. “Verde Hotels is proud to have signed this management contract with the Bakhresa Group, proving that going green is not only viable on the triple bottom line but makes good business sense” stated Samantha Annandale, CEO of Verde Hotels. 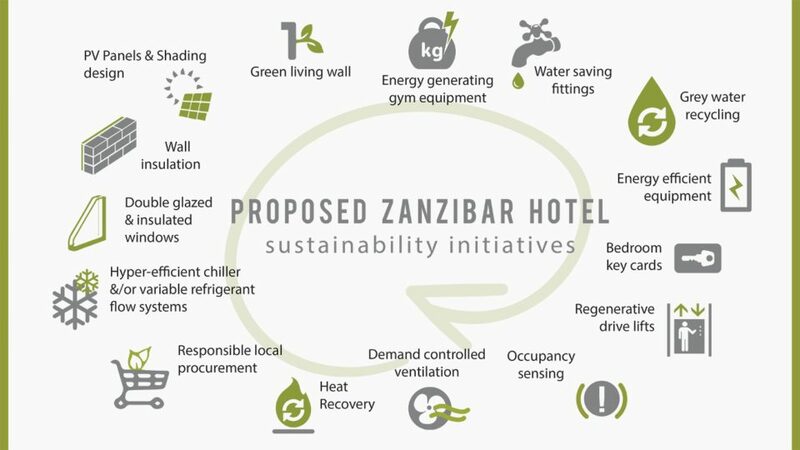 The ethos of the Verde Group and Hotel Verde Zanzibar will align itself with a core belief of the Bakhresa Group: to continuously improve environmental performance through efficient operations, reduced impacts, natural resource and cost savings. 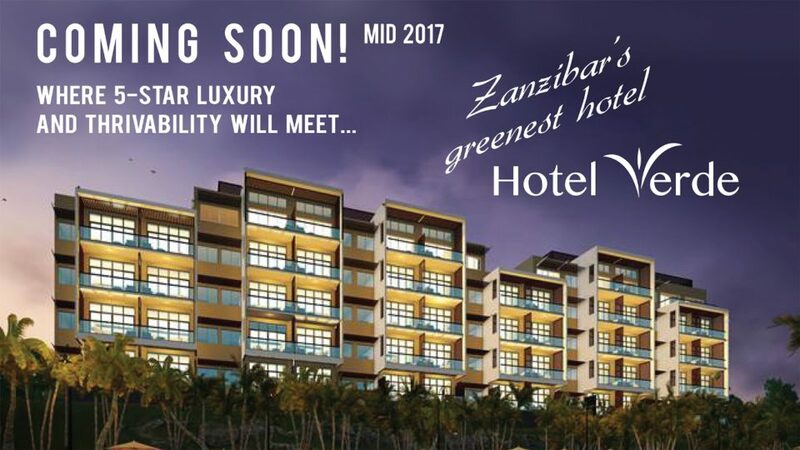 We’ve got a new ultra-green hotel to look forward to on Zanzibar’s hotel scene starting mid-2017.